Piera Gelardi is the Creative Director of Refinery29. 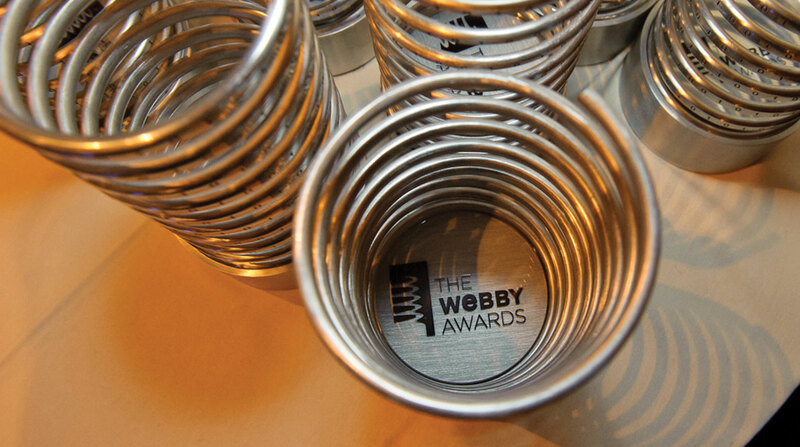 Which means for us here at The Webbys, Piera lends her discerning eye as an Executive Judge. From beautiful and well-designed work to inspiring creativity online, Piera knows what’s good. There from the earliest days of Refinery29, her work has made R29, a premier lifestyle site. A champion of women of all backgrounds and inspiration, here are a few more fascinating facts about her that you should know. As an IADAS member, Piera is a savvy tech user. She recently sent us a screengrab of her home screen for us to use as part of a feature on what apps our Judges are using. As the Creative Director at R29, her aesthetic sensibility is evident on her home screen where we see a refreshing blend of business, tech and lifestyle apps including: Snapchat, Spotify, This AM, Seamless & Uber. P.S. Her wallpaper is a collage by beauty photographer Gregory Keith. Piera reflects on the bohemian beginnings of Refinery29 to its place as one of the fastest growing media companies in the world as part of The Webby Fifty—our video series on pioneering creatives across the digital landscape. Piera’s birthday fêtes are infamous happenings known as the Pink Party. Begun in 1999, the theme, the overall aesthetic, really, is a celebration of pink. “My favorite color to live in is light pink, it’s very soothing and also a flattering color,” she said in an interview in Homepolish. In fact, Piera met her future husband, Phillippe von Borries, at a Pink Party. Except, he was dressed in all black for the occasion…? Piera co-edited the Book Refinery29: Style Stalking with R29’s Editor-in-Chief Christine Barberich. Style Stalking is a fashion guide, look book & good read all-in-one. Flip through Style Stalking and you’ll come across the trademarks R29 is known for: extraordinary looks, vibrant fits and beautiful portraiture. Piera lives the never not working ethos which New Yorkers are known for. Her bright look (and outlook, really) was summed up by a colleague as what can be “best described as a 24/7 Pantone party.” In a detailed inspirational essay for LinkedIn, she writes that if she had a tattoo, it would say “forever forward,” a favored motto of hers. Which, it turns out, is a spin on the New York State motto: Excelsior! Keep up with Piera on Instagram. Be sure to read the rest of our Judges Spotlight features on other members of our Executive Academy.